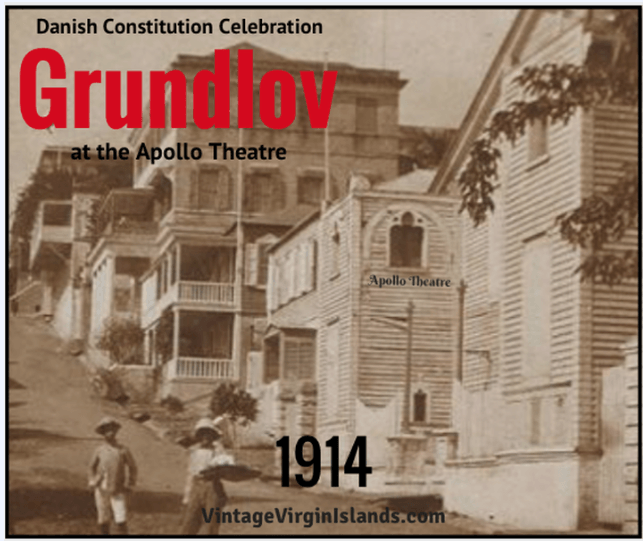 ON THIS DAY in 1914, the Grundlov celebration took place at the Apollo theatre in St. Thomas. This historic celebration marked the granting of a new Constitution for Denmark and the Danish West Indies! Hundreds attended the meeting wearing their red and white badges, in what was, the first patriotic celebration of its kind. 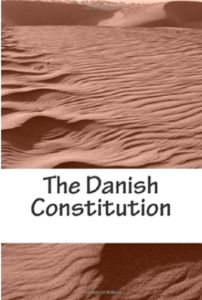 Mr. K. Jensen spoke to the audience about the history of Denmark’s Constitution. 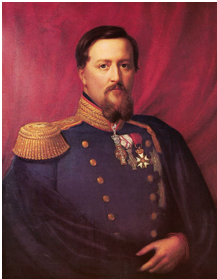 It was the highest law in the Danish kingdom, granted by King Frederik VII in 1849. The word, Grundlov was from a Danish term meaning, foundation. This new constitution was designed to confer larger electoral rights to its citizens and greater privileges. However, full rights for women to vote would come the following year in 1915. The new constitution promised to institute reforms, the likes of which no other country had as yet effected. Mr. Sixto addressed the audience, paying a well-deserved tribute to Denmark. He appreciated the freedom of her institutions, advanced ideas and general progress made. 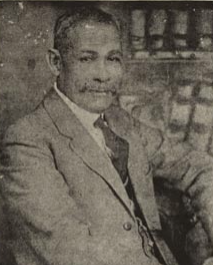 He expressed the hope that the benefits would help the citizens to live in peace and happiness, as they looked forward to the prosperity envisioned by the opening of the Panama Canal in August. Lusty cheers were heard throughout the evening for the King and for St. Thomas! During the closing, many waved their patriotic flags as the Adams band played the Danish National anthem.